Samsung has launched Samsung Galaxy A8 and Galaxy A8 Plus smartphones in the Philippines. Both have Infinity Display and Dual front Camera. On Camera, both phones have a 16MP rear camera with f/1.7 aperture and dual front-facing camera setups, with one 16-megapixel f/1.9 sensor and one 8-megapixel f/1.9 sensor. You can use these two cameras along with the Live Focus feature to give your selfies a blurry background which can be applied before or after you take the photo.Both Phones have Samsung Pay support (with MST), IP68 waterproofing and fast charging over USB-C. Dual SIM device runs on Android 7.1 Nougat out of the box. 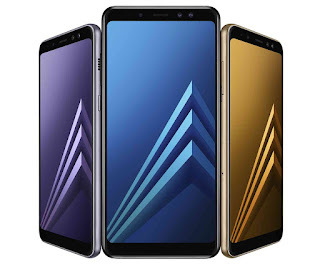 Samsung Galaxy A8 (2018) and the Samsung Galaxy A8+ (2018) are priced at Php26,990 and Php32,990, respectively. Both smartphones come with a free 5,000mAh Capdase battery pack worth Php1,199.